Yarlswood detention centre has been described today as a centre of ‘national concern’. Of the 99 pregnant women who were held at Yarl’s Wood last year, only nine were removed. “This HIMP report on yarlswood reechoes the whole raft of concerns of human rights abuses inside yarlswood detention centre which we have been exposing since 2012. It’s no surprise that the report recognises need for time limit and that most vulnerable women aren’t detained. It’s evident that detention ruins lives (detainees, their families and friends). It is comparable to a concentration camp. No reforms can change the long lasting devastating effects it causes on human lives. We strongly call on the government to implement the recommendations of the APPG detention inquiry“. Conditions have deteriorated at an immigration removal centre to such an extent that it is a “place of national concern”, the prisons watchdog says. Nick Hardwick, chief prisons inspector, said Yarl’s Wood, in Bedfordshire, was failing vulnerable women. He said the concerns showed women, including pregnant ones, should be detained only as a last resort. Mr Hardwick’s report suggests that conditions have worsened since inspectors last visited two years ago. More than half of the detainees who were surveyed said they felt unsafe. Mr Hardwick called for a “strict time limit” on how long anyone can be detained. 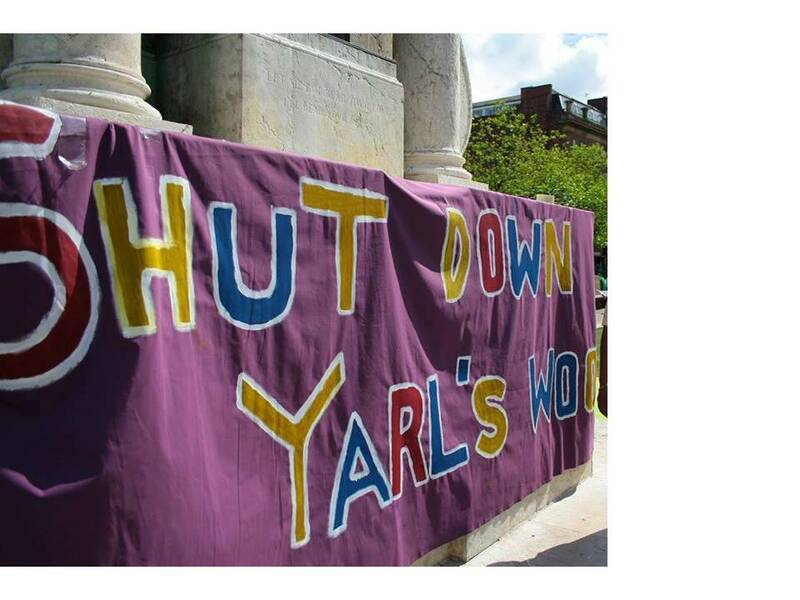 “Yarl’s Wood is rightly a place of national concern. While there have been instances of unacceptable individual behaviour, most staff work hard to mitigate the worst effects of detention and women told us they appreciated this. Previous Asylum for Aderonke: Nigerian Lesbian & LGBT Activist’s Judicial Review Hearing!! !